On 28 July 2010 the United Nations General Assembly officially recognised the Human Right to Water and Sanitation. To help make this Human Right a reality, Franciscans International and WaterLex have co-developed a learning manual for grassroots religious communities. The purpose of this manual is to provide interested communities with an overview and some tools to address water access and governance challenges in everyday life. 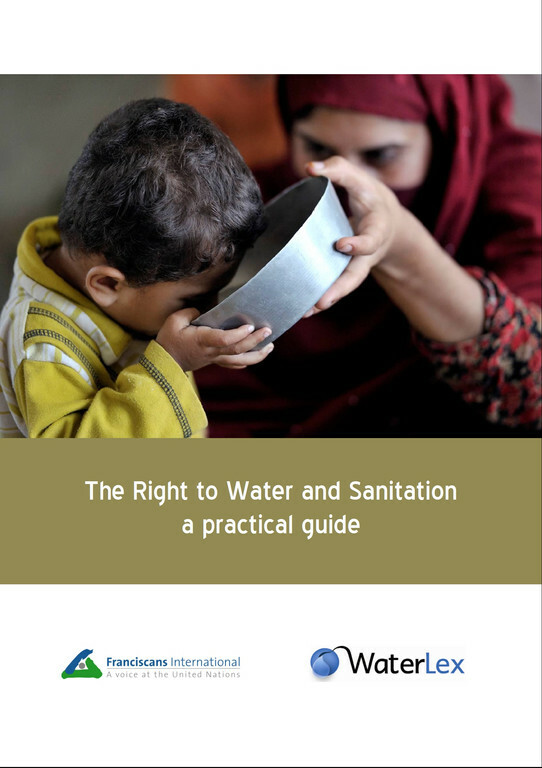 It explains progressively, over 7 sections, how to become aware of water and sanitation challenges as well as the planning of facilitation and advocacy activities at the local, national and international level.